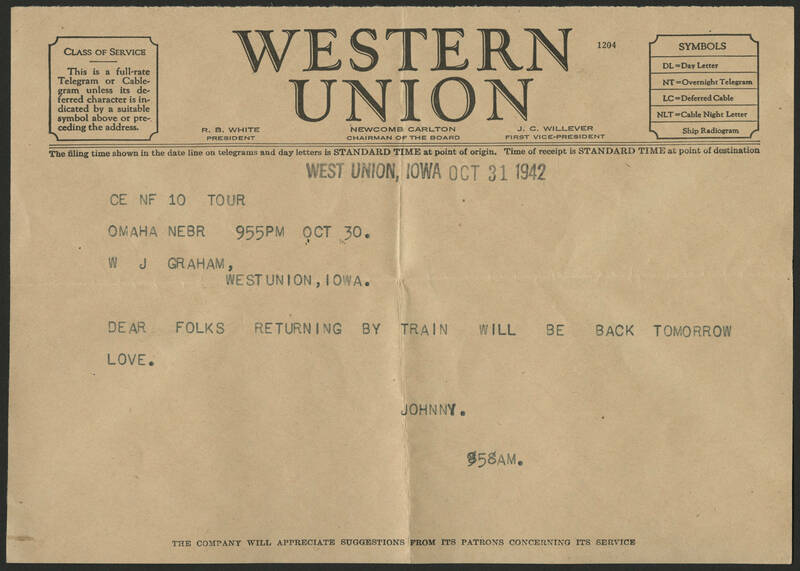 CE NF 10 TOUR OMAHA NEBR 955PM OCT 30 WJ GRAHAM, West Union, Iowa. Dear Folks, Returning by train will be back tomorrow. Love. Johnny, 858am.